Who would’ve thought Chris Evans would make a good Captain America, after being the Human Torch in the awful Fantastic Four movies? Well, he actually did a great job portraying the “Cap,” both before and after he got his super powers. 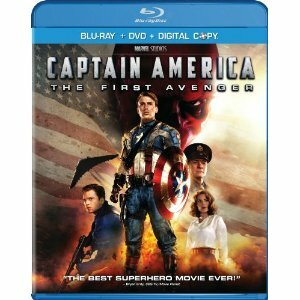 Definitely check out Captain America: The First Avenger on the Blu-ray/DVD Combo if you’re a Marvel, Avengers, or comic fan!